Claim To Fame: Mills is best remembered as Norma Arnold, the nurturing mother, on the dramatic comedy The Wonder Years. 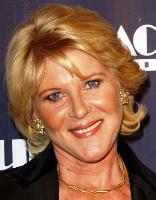 Family Life: She has been married to film, television, stage actor and author Orson Bean since 1993. Info: Mills' first acting role was in the 1970 film Diary of a Mad Housewife. After a handful of small television appearances and guest roles, including a short-lived stint as law school graduate Leslie Dunn on The Associates (1979), she finally got her big break with the role of Norma Arnold on The Wonder Years. She remained on the popular show until it ended in 1993, and then moved on to a recurring role on the western drama Dr. Quinn, Medicine Woman. 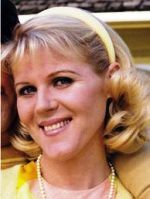 Over the years, she continued to make numerous guest appearances on television dramas and comedies, such as NYPD Blue; Sabrina, the Teenage Witch; Strong Medicine; and Yes, Dear. Trivia: Married actor/comedian Orson Bean when she was 41 (her first marriage) and he was 64 (his third marriage). Once was involved with actor David Birney. They broke up in 1991. Is the stepmother of Orson Bean's son. Graduated from Yale University in 1973. Studied acting at the London Academy of Music and Dramatic Art. Where Are They Now: Since 2006, Mills has been part of the cast of The Bold and the Beautiful as Pamela Douglas, the estranged sister of Stephanie Douglas Forrester. She also appeared in the 2009 holiday movie A Golden Christmas.